For Compatible Astrology Signs, personality profiles and more, visit the link shown below. This page features a short collection of free printable clipart pertaining to the Western Zodiac sign of Cancer. 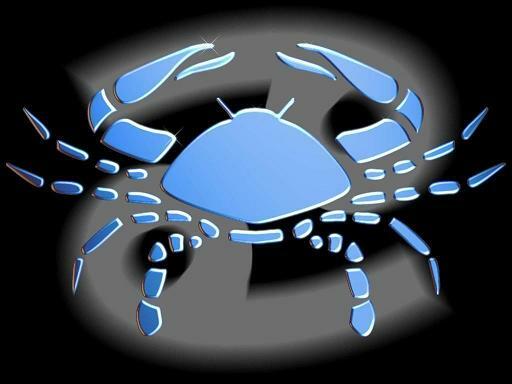 Cancer is the sign in the Western Zodiac that falls between the dates of June 22nd and July 22nd. 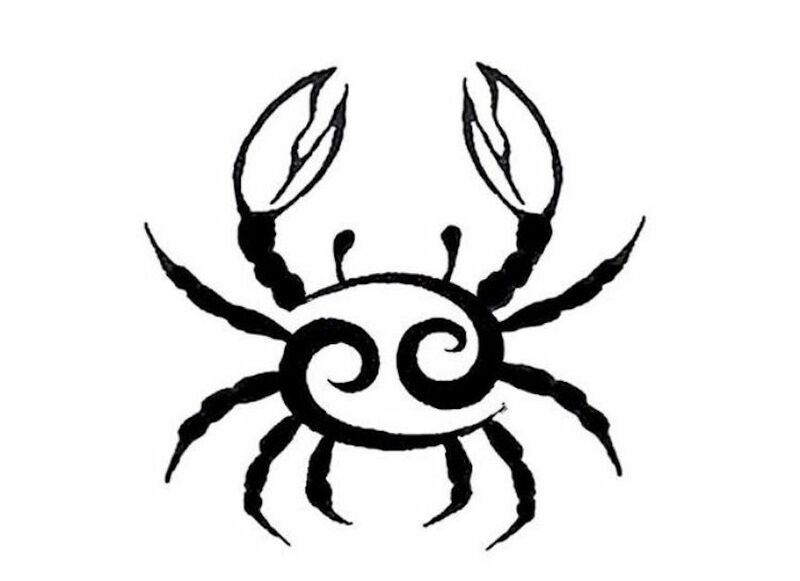 People born under the sign of Cancer are said to be most compatible with Scorpio, Pisces, Virgo, and especially Taurus. Colors most often associated with the Western Zodiac sign of Cancer are silver, gray and crimson. To print any of these images, just right-click on the chosen image and select a SAVE option from your drop-down menu. These images can be used to adorn your correspondence, design a logo, or for any other purpose you can imagine. Famous writers born under the sign of Cancer include Norman Cousins, Ernest Hemingway, Hermann Hesse, George Orwell and Henry Thoreau. Famous actors born under the sign of Cancer include Kevin Bacon, Tom Cruise, Olivia de Havilland, Harrison Ford, Tom Hanks, Jane Russell, Sylvester Stallone, Barbara Stanwyck, Maureen Stapleton, Meryl Streep and Robin Williams. Famous comedians born under the sign of Cancer include Milton Berle, Bill Cosby, Phyllis Diller, Gilda Radner, Dan Rowan, Red Skelton and Robin Williams. Famous sports figures born under the sign of Cancer include Arthur Ashe (tennis player), Jack Dempsey (boxer), Leon Spinks (boxer) and Mike Tyson (boxer). Majorly world famous Cancer personalities include Ingmar Bergman, Calvin Coolidge, Gerald Ford, John Glenn, King Henry the Eighth, Princess Diana, Prince William, Neil Simon and Nikola Tesla.